Christian's mother, Brittany "Britt" Harris was just six weeks pregnant when she found out she would never see her husband again. 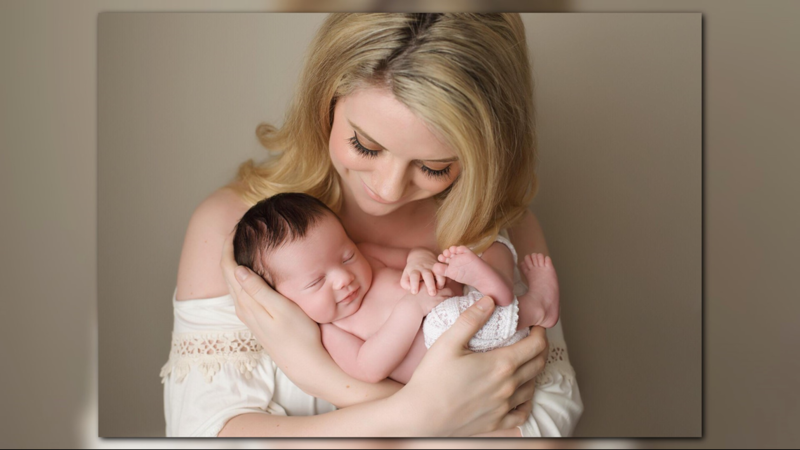 GREENSBORO, N.C. – You can call her a miracle, the day Christian Michelle Harris was born into this world on Saint Patrick’s Day. She’s the living legacy of her father, fallen U.S. Army Spc. Christopher "Chris" Harris, 25, who was killed August 2, by a suicide bomber in Afghanistan. Christian’s mother, Brittany "Britt" Harris was just six weeks pregnant when she found out she would never see her husband again. Now her daughter will grow up knowing all about her heroic father. “She will grow up knowing everything about him. I will tell her every story and show her every picture I have. She will grow up with the utmost amount of pride in who her father was,” said Britt. With every smile, tear, first step, Britt will be there for her daughter who she says looks just like her dad. 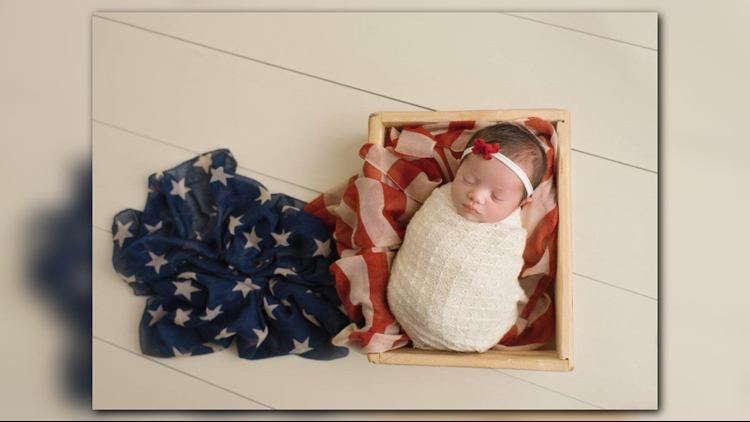 Britt recently shared pictures of her patriotic miracle girl captured by NPS Photography Pinehurst. 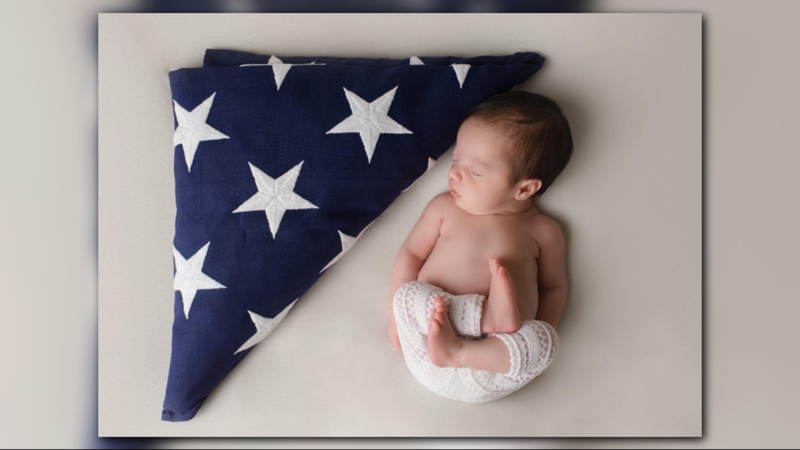 The beautiful pictures show Christian wrapped in her father’s military gear, another with the American Flag by her side, and a very special one that includes a picture of Spc. 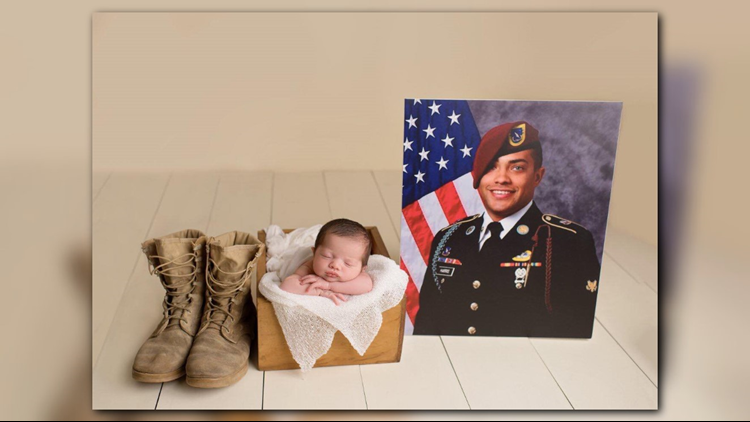 Harris along with his military boots and of course his little angel. Britt has long felt the support from Harris’ fellow soldiers during every step of her pregnancy. In October, members of Fort Bragg’s 82nd Airborne revealed the baby’s gender in a truly special way. The soldiers recorded a special video for Brittany. They stood in front of the flag armed with confetti cannons and with a special announcement. 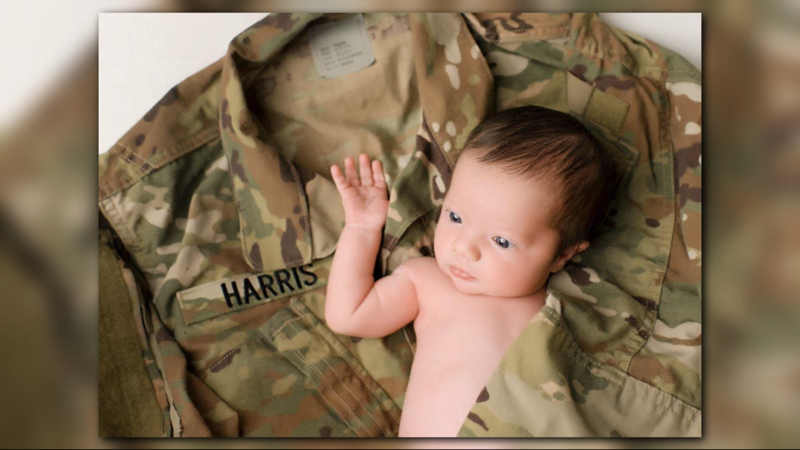 “My boy Harris, we’re gonna do it for him, find out what kind of baby he is going to have,” a soldier said in the video. Then, two of the Airborne members stepped back and fired the confetti. 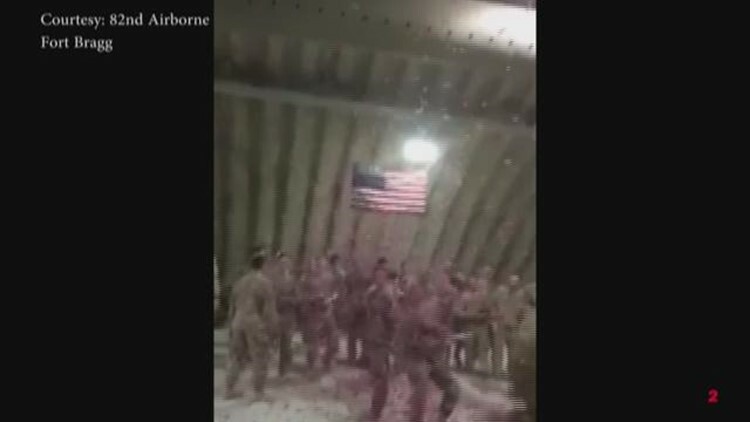 The celebrating began as soldiers ‘dabbed on it’ while pink confetti flew all around them. Britt with such amazing strength said she wants Christian to grow into an amazing woman. She also said being a mom is the most amazing and fun thing she’s ever done. “Even through my exhaustion, I have never felt this kind of happiness. I feel like I finally found my purpose in life,” said Britt. She said her little miracle now gives her a reason to get up every day and to keep going. Christian will always be surrounded by love.